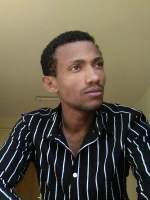 Ethiopia though the level remains unknown in study district. Objective: To assess magnitude of exclusive breastfeeding and associated factors among infants in Marti Arsi Zone, Oromia Region, Ethiopia. Methods: A community-based comparative cross sectional study design was conducted in Marti district, Arsi zone, Oromiya Region, Ethiopia from March 17- 30/2016. A total of 2,222 mothers (i.e. 1,111 from mothers who attended and 1,111 from mothers who didn't attend antenatal care) were randomly selected from the district using multistage random sampling. Descriptive statistic was used to describe the variables and binary logistic regression model with adjusted odds ratio with 95% confidence intervals was used to identify factors associated with exclusive breast feeding (EBF). Results: Overall, 44.3% (95%CI: 42.2%, 46.4%) reported that they fed their infants exclusively. Of these, 567 (51%) (95%CI: 48.1%, 54.0%) and 417 (37.5%) (95% CI: 34.7%, 40.5%) mothers who attended antenatal care and did not were reported EBF, respectively. In bi- variable binary logistic regression analysis Age of mothers, religion of mothers, children attacked by diarrhea and place of delivery were found to be significantly associated with EBF among mothers that attended antenatal care while age of mothers, birth order of children, children attacked by diarrhea and frequency of breastfed were found to be significantly associated with exclusive breast feeding among those who didn’t attend antenatal care. Conclusion: Exclusive breastfeeding was significantly lower among mothers that did not attend antenatal care than those who did. Thus, emphasis should be given to provide continuous exclusive breastfeeding education and counseling to mothers who did not visit the health facility for antenatal care at community level.